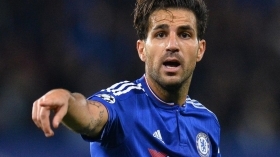 Chelsea find Cesc Fabregas replacement? Chelsea wants Suarez to replace Fabregas? Chelsea manager Maurizio Sarri is reportedly keen on reinforcing the midfield in the New Year with Denis Suarez identified as a potential replacement for Cesc Fabregas. Suarez has been on the periphery of the Barcelona team since the start of the season and Calciomercato suggests that he is more than likely to leave the club when the transfer window reopens. It is added that Chelsea are the leading candidates to pursue the playmaker, though they are likely to pursue a loan move first before signing him on a permanent basis for around £36m. Meanwhile, the move may witness Fabregas potentially making way from the Blues with his existing contract expiring at the conclusion of the ongoing campaign. The former Arsenal man has managed just one league start for the Blues this campaign and there are suggestions that he could pursue a move to Milan when the transfer window reopens next month.